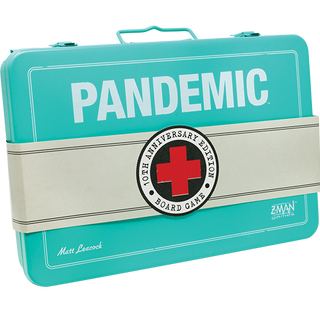 Pandemic has been one of the biggest board games on the planet since its release in 2008, so to celebrate its 10th birthday its getting re-released in a big metal box that’s full of new cards and miniatures. Pandemic 10th Anniversary will be $100. For that money you get a very good game, plus a bunch of new and improved components, from the metal first-aid box to a range of plastic miniatures based on 2nd generation character designs to all-new art and graphic design. The board will also be larger, and elements like role cards and petrie dishes are now much better-looking as well. It’ll be out in Q4 2018.